Commercial stained glass offers a great opportunity to reinforce a premium branding or add a unique and handcrafted design element to your retail or office location. In Dallas and throughout Texas this Scottish Stained Glass can provide commercial stained glass solutions to fit your needs. Commercial stained glass if used in restaurants, bars, hotels, casinos, office buildings, and public buildings across the country. Sometimes the stained glass is used to honor the achievement or donation of an individual. In other cases it is the appropriate medium to convey a certain aesthetic, especially in Celtic bars and restaurants. 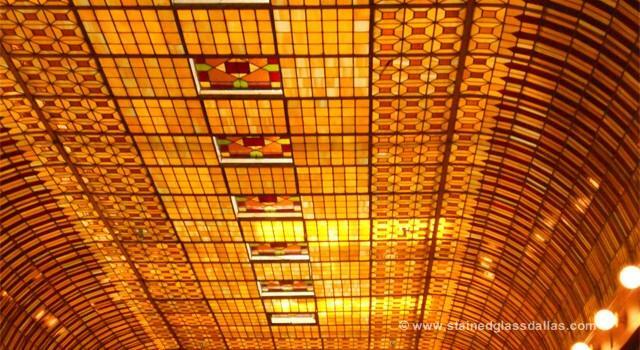 Similarly, hotels and casinos often use stained glass to develop the “high end” look and feel. In still other cases stained glass is merely the medium chosen for public art. Developing commercial stained glass projects can be as large, or small a project as is necessary. Scottish has the experience and expertise to meet the needs of any size project. Contact us today to begin a with our design experts.